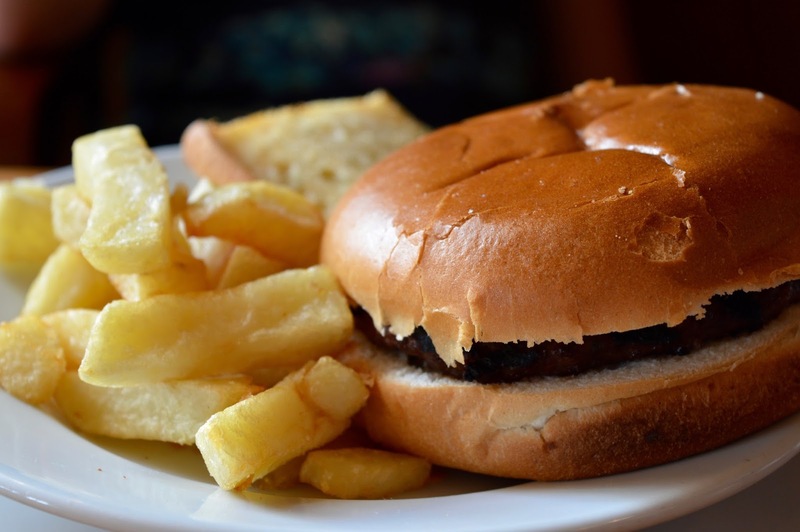 We stayed in Scotland this half term and during our journey home we decided we'd stop off in Alnwick for a bite to eat. 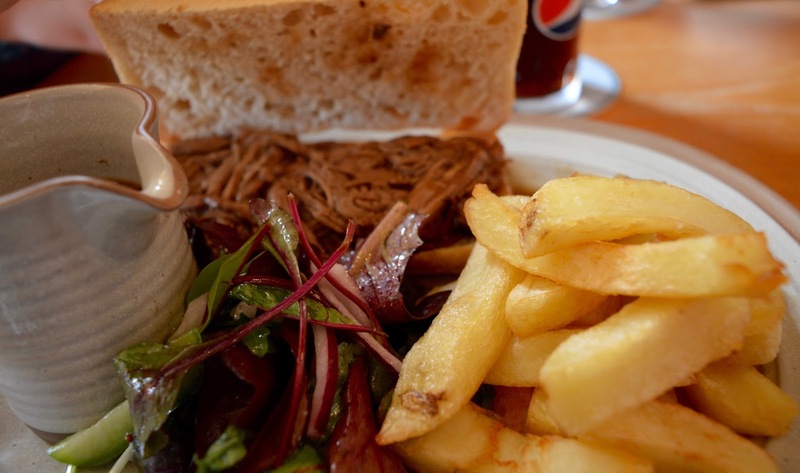 We had originally planned on visiting The Plough as had heard good things however it turns out The Plough doesn't serve food all day. 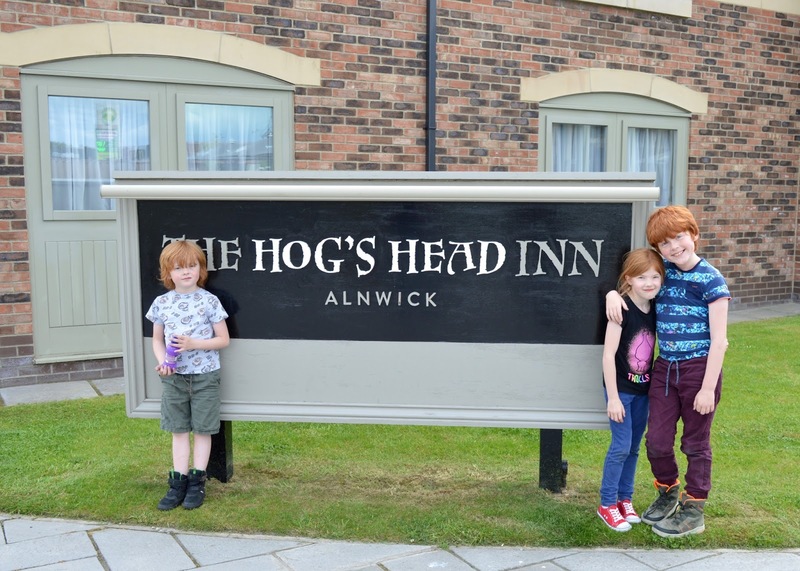 Our next choice was The Hogs Head Inn which despite passing lots of times (it sits on opposite side of the A1 to Alnwick Garden and Alnwick Castle), I had not heard much about. The pub sits in the middle of a business park/opposite the A1/opposite a service station so definitely not the most inspiring of locations. However, this does have it's plus points as it is extremely well located for those visiting Alnwick's attractions or exploring Northumberland via the A1. There was ample parking too. 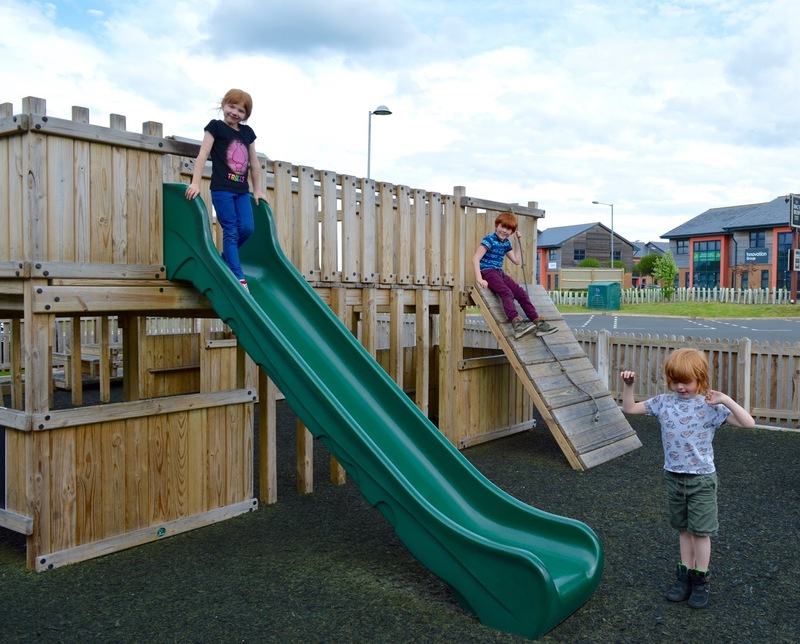 The kids' eyes lit up when they spotted an outdoor play area. We left them to it and grabbed a table inside. There is plenty of seating outside or inside near the windows and doors so you can keep an eye on them. 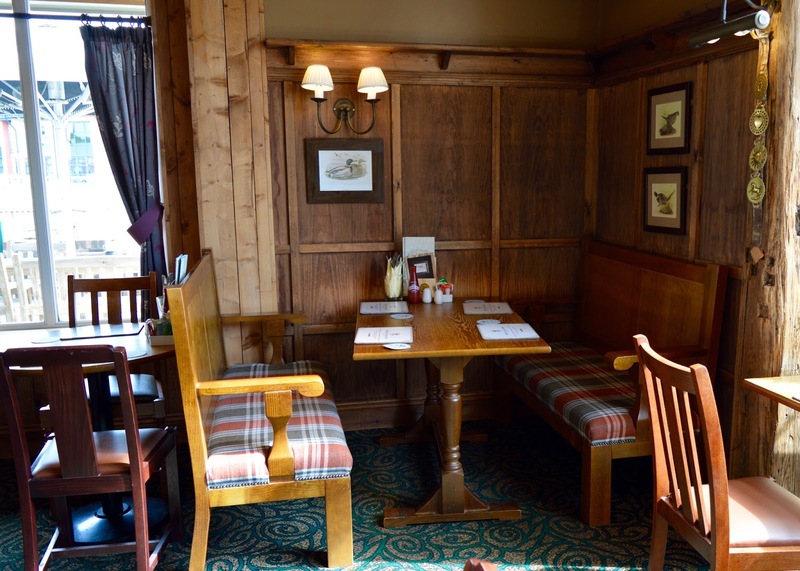 The pub is large inside and tastefully decorated. It's only a few years old and still feels pretty new and clean/fresh inside. 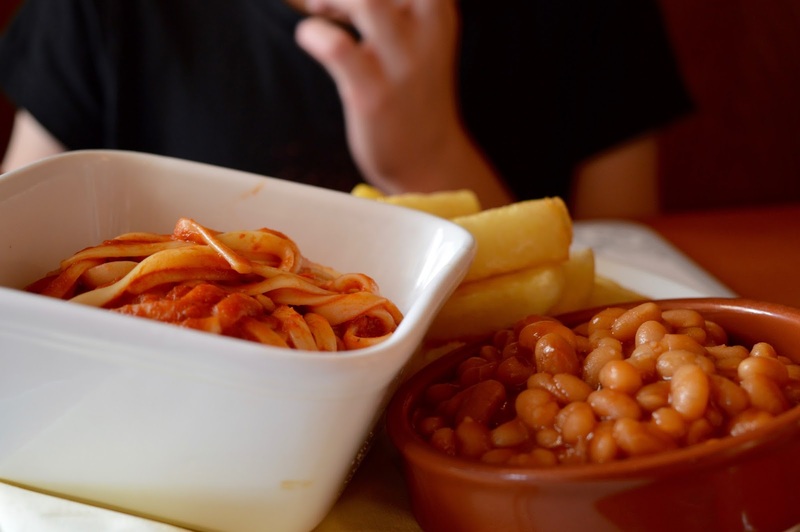 The children's menu is £6.95 for 3 courses. For this price, I would normally expect a drink to be included. Adding a drink brings the cost up closer to £10 so it is fairly expensive. That being said though, our total bill for 2 x 2 course meals, 3 x 3 course children's meals and a round of soft drinks was £64 which is pretty average for us and it did feel like we had received our money's worth. 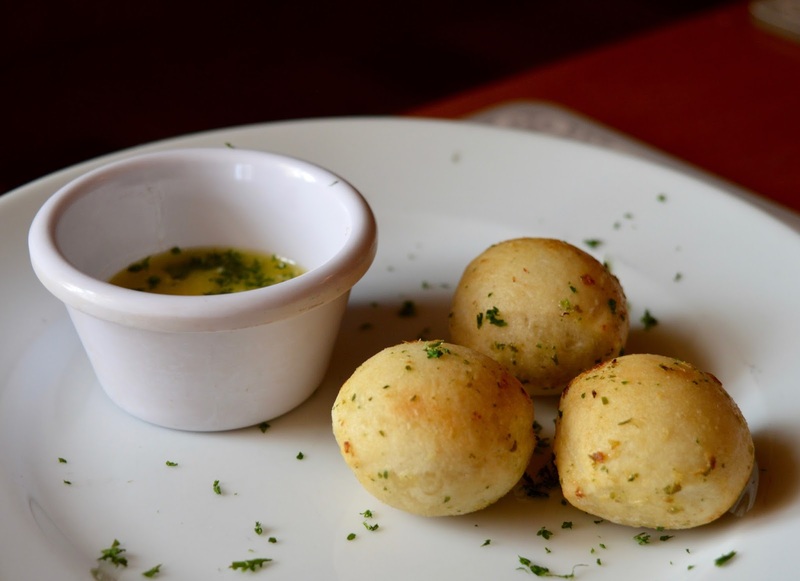 The kids all selected dough balls to start (there are four options to choose from). We dragged them in from the park and to be honest they were gone within seconds - they all gave them the thumbs up before running back outside to play. 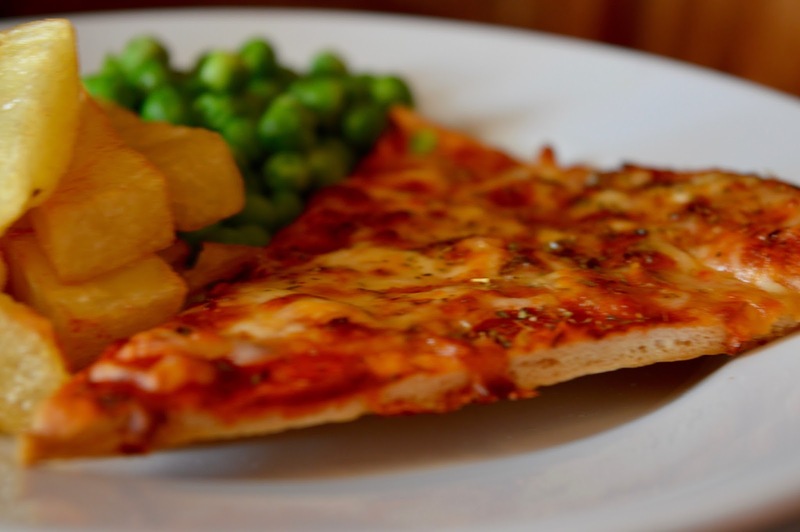 The children's main courses are all 'mix and match', so you can pick a main course and 2 sides. This is perfect for fussy kids. The portions are big too. Everyone thoroughly enjoyed their meals, especially the homemade chunky chips. 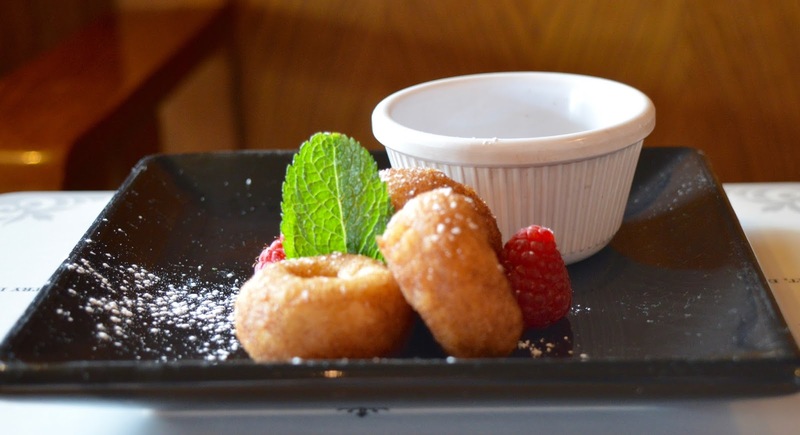 Again for dessert, the all picked the same thing (from a choice of 4), mini doughnuts are always going to win my 3 over. They loved the chocolate dipping sauce. Steve was starving as we hadn't eaten since breakfast and it was now 3pm so he suggested we ordered starters too. 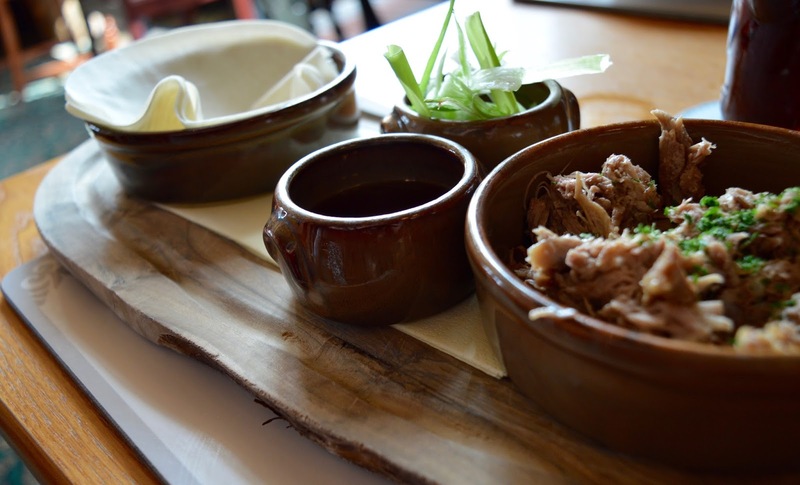 I ordered duck and pancakes which was a bargain at £5.50 however it wasn't a patch on the the duck and pancakes we cook at home or order from the chinese - the duck was very anaemic, not very crispy and the sauce was too sweet for my taste. I'm not going to complain too much though for the price. 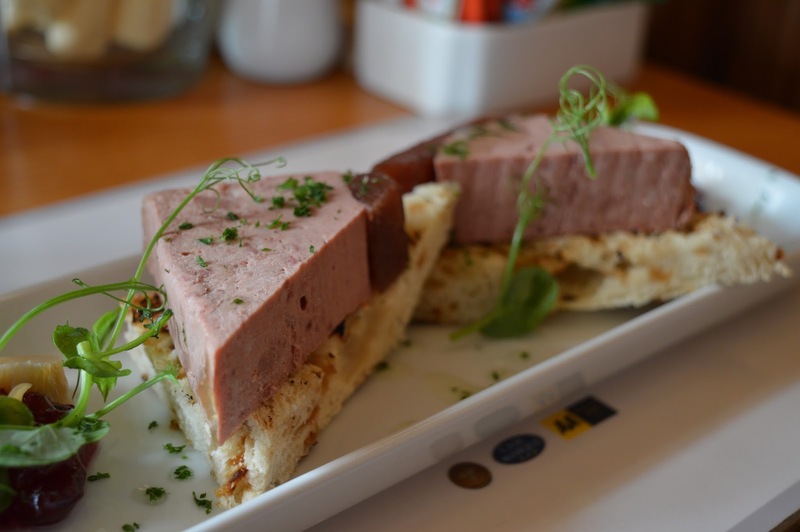 Steve went with pate and loved his starter - he'd definitely recommend. The portion sizes were decent too. 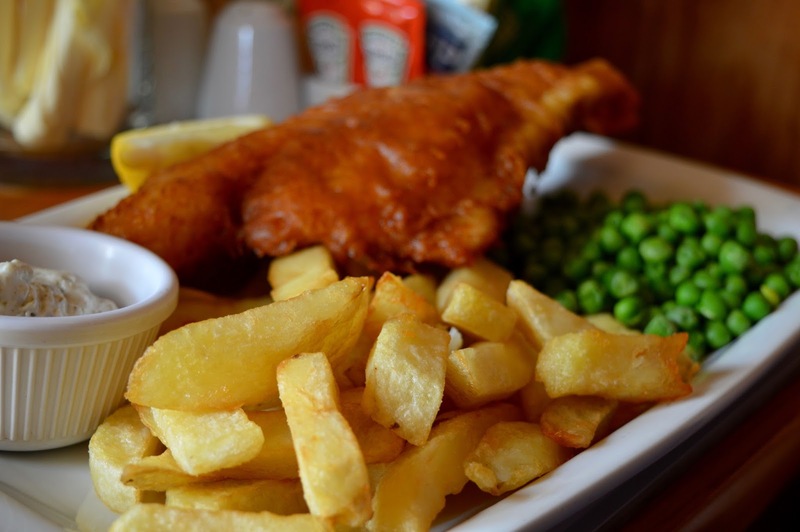 Onto our mains and as it was National Fish and Chip Day, Steve couldn't resist. You can order this dish in small or standard (Steve went with standard). The fish was a little over cooked in places but overall it was a decent version for a pub - the chips are homemade and chunky and reminded me of the chips you get from a chip shop. Very moreish! 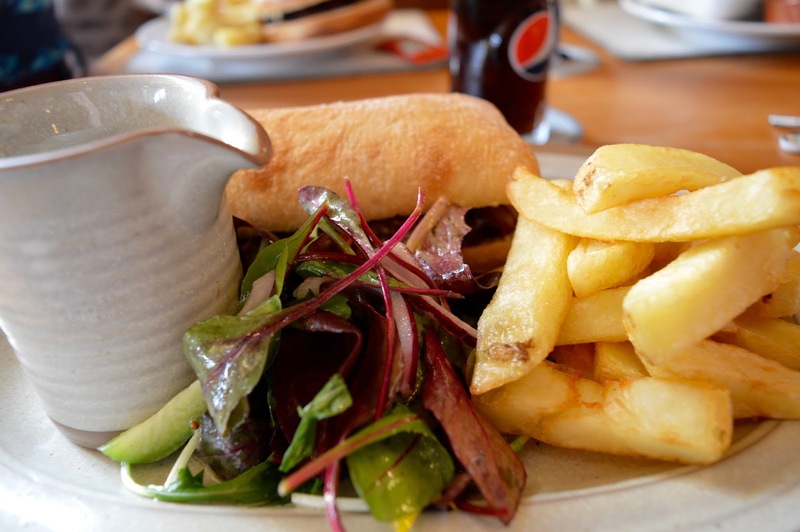 I ordered the slow cooked beef ciabatta and chips which at around £6 was a real bargain. The beef was indeed slow cooked and super tender. My dish was served with a mini jug of gravy which had small pieces of beef in it too - so good poured over those chips! This is a dish I'd definitely recommend if you're looking for a cheap lunch that will satisfy and fill you up. 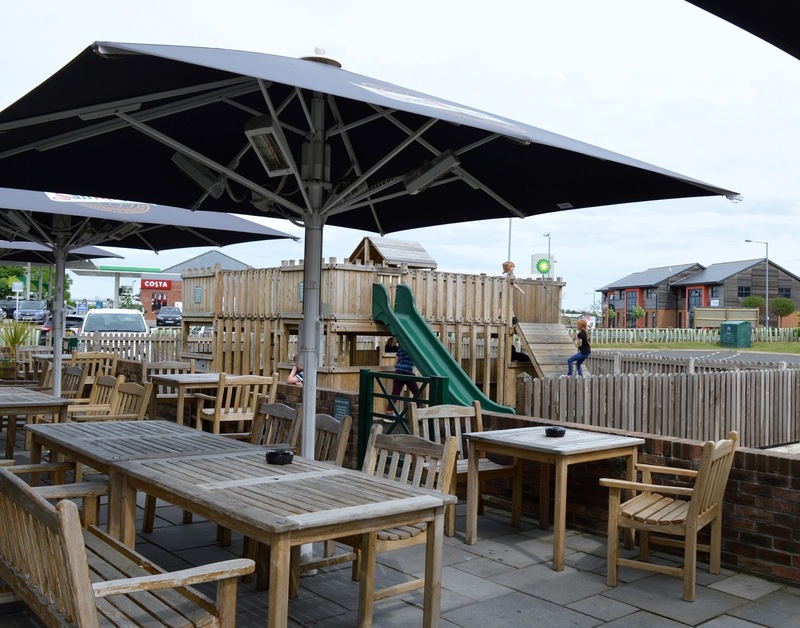 We finished our drinks on the outdoor terrace as the kids weren't ready to leave the park - they were having too much fun and in Britain we do need to grab any al fresco drinking opportuities we can so I wasn't complaining too much. 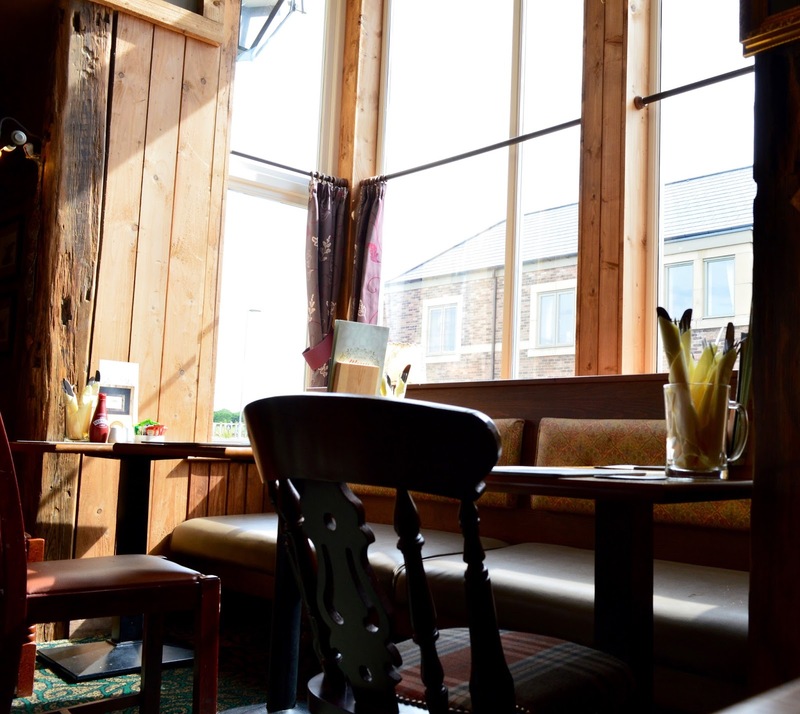 Despite a couple of niggles I had with the food, I'd not hesitate to return to The Hogs Head Inn next time we're in Alnwick or travelling North via the A1. 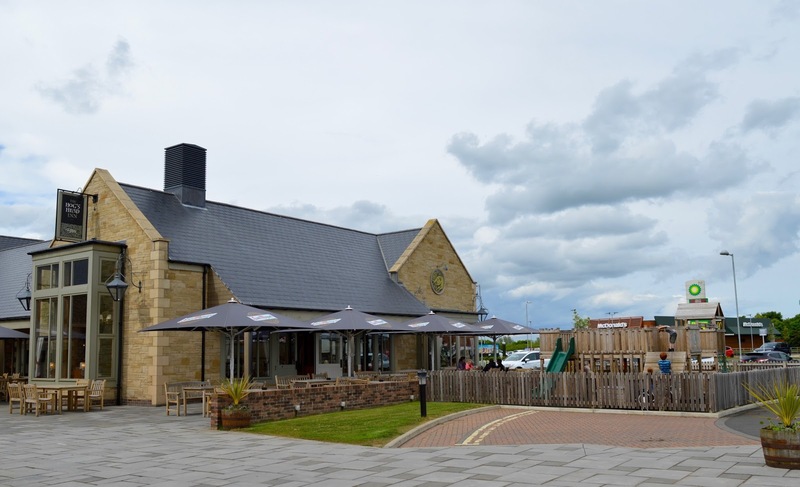 The staff were all lovely and friendly, service was quick, the atmosphere in the pub was nice and the kids loved the play area. Our lunch offered good value too. 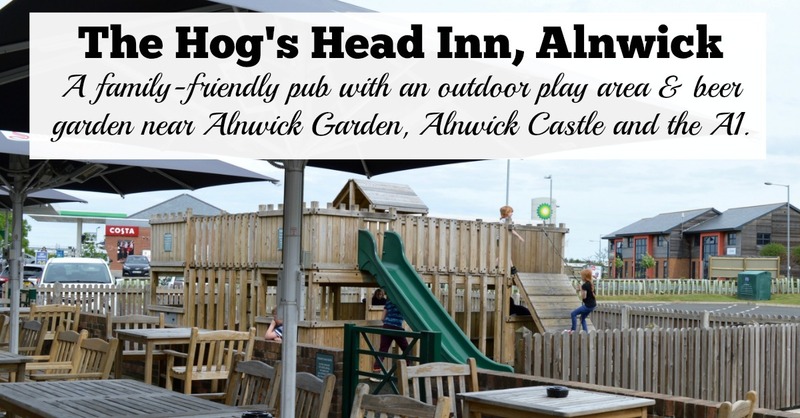 I asked the staff how long kids can stay in the bar for and they're allowed in at any time so if you're heading to Alnwick Garden, Alnwick Castle or Holy Island for the day this summer, I think The Hog's Head Inn is the perfect pub to call into on your way home to catch the last of the evening sun. There are 54 bedrooms too if you'd like to make a night of it and it's an ideal spot to stay if you're attending a wedding in Alnwick. We stayed here when we went to a wedding last year - it was really lovely! Oh wow, I was just in Alnwick on Sunday, wish I'd known about this place. I'll definitely call here next time. Thanks for the recommendation Sam.